October 21, 2012 - Airbus, the European aircraft manufacturer and Global Engineering Deans Council (GEDC), the leading organization for engineering education, launch an award to recognize individuals who have been pro active in bringing more diversity into engineering classrooms. They intend to reward initiatives which encourage students of all profiles, gender, social and cultural backgrounds as well as disability, to study and succeed in engineering. The long term aim of this new award is to increase diversity among the global community of engineering educators and professionals, so that the engineering industry reflects the diversity of the communities it supports. In addition it will ensure that more students have the opportunity to experience and value working in diverse teams during their studies. 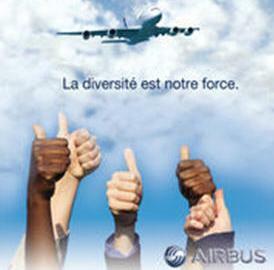 “At Airbus we have some 100 nationalities and over 20 languages are spoken among our 55,000 employees. We believe that this diversity is a huge strength, a vital part of our business success and that it helps foster innovation, performance and engagement.” said Charles Champion, Airbus Executive Vice President Engineering. Following the launch the GEDC and Airbus will establish an Awards Committee comprising experts in engineering education, diversity and industry, to define the application guidelines, evaluation criteria, selection process and launch the call for candidates. Airbus is a corporate member of the GEDC (Global Engineering Deans Council), a leading global organization whose members are individuals responsible for setting the agenda for higher education in engineering in their countries and universities. Global Engineering Deans Council was initiated in Paris in 2008, its membership now represents over 30 countries and is growing rapidly. The mission of the GEDC is to serve as a global network of engineering deans, and to leverage these deans’ collective strengths for the advancement of engineering education, research and service to the global community.